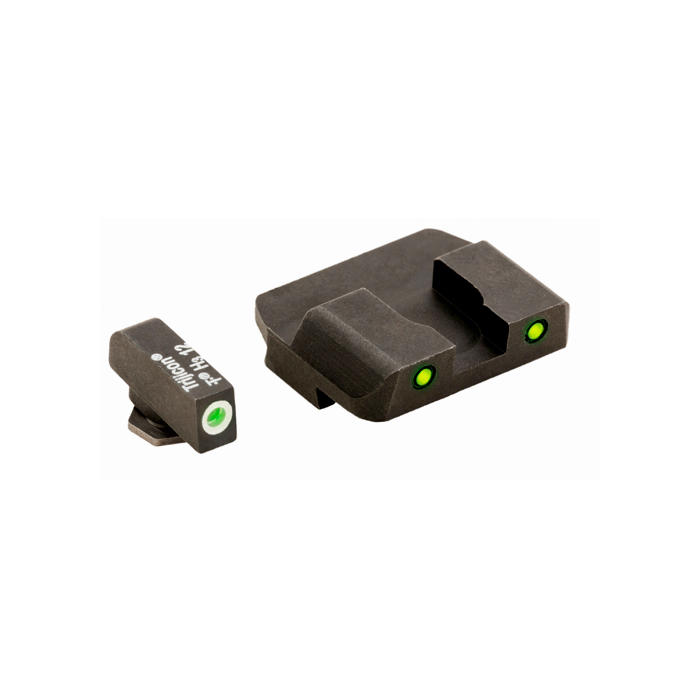 Tritium night sight set for Glock pistols. Green front and yellow rear. The Ameriglo Pro Operator Series features a wide rear notch for an excellent sight picture. The rear sight has a sapphire lens with a black outline for those that prefer a subdued dot set on the rear sight coupled with a bright white outlined front sight. Fits Glock 17,19,22,23,24,26,27,33,34,35,37,38,39.